The Delhi Cabinet today decided to form committees headed by MLAs to deal with grievances related to electricity and water. At a meeting chaired by the Chief Minister, Mrs Sheila Dikshit, the Cabinet reviewed the performance of the power discoms and decided to form constituency-level committees, headed by the local MLA and comprising prominent citizens of the area. The Delhi Pradesh Congress Committee finds itself in a piquant situation over the recent unsavoury episode involving the Delhi Chief Minister, Mrs Sheila Dikshit and some local leaders when she walked out in a huff from a coordination meeting last week. The Delhi High Court today stayed proceedings in a defamation case filed by the Delhi Chief Minister, Mrs Sheila Dikshit, against the senior BJP leader, Mr Madan Lal Khurana. The police have arrested a man for torturing his wife who committed suicide in Naya Bans area here. Domestic discord was the cause of the suicide, the police said. Incidentally, this is the fifth case of suicide during the past one week in Noida. A dairy owner and his two friends clashed over a minor issue while having drinks in Loni. Later, the friends reportedly hit him with bricks and strangulated him. The wife of the dairyman has filed a murder report with the police, naming the two accused. The obstacles in the formation of Third Front have disappeared after the Samajwadi Party’s national convention in Patna recently. This was stated by the UP Chief Minister, Mr Mulayam Singh Yadav. With the official launch of the two very unique awareness-spreading efforts by the Indian National Trust for Art and Cultural Heritage and the Delhi Government yesterday, tourists can now get a first-hand experience of the rich culture of the city through heritage walks every Saturday and Sunday. Earlier too, similar efforts had been undertaken by some NGOs, which, however, could not be sustained due to lack of coordination with a government agency. Despite the short notice, a Delhi-based artist Harish Kumar managed to complete two paintings of the historic Neherwali Haveli, the birthplace of the Pakistani President, Mr Pervez Musharraf, which the authorities felt would be an appropriate and memorable gift. A day after the Academic Council of the Delhi University gave the restructured courses in BA (Hons) and B.Sc programmes the go ahead, teachers cutting across party lines have expressed concern over its implementation from the session beginning in July. A model in the creation of Shantanu Goenka during the Lakme India Fashion Week 2005 in the Capital on Monday. When Sandeep Kumar (name changed) sought admission for class IX in Nutan Marathi Senior Secondary School, Paharganj, he was asked to cough up Rs 6,000 as “voluntary donation”. The investigations into the murder of two women in Najafgarh area on Sunday revealed that two persons, identified as Harvir and Jaibir (both cousins), were involved due to property dispute with the slain women. The Chief Minister Sheila Dikshit unveiled the bust of Sher-e-Punjab Maharaja Ranjit Singh at a function organised by the NDMC. Ashiq Ali Bhai Lal from Pakistan entranced the predominantly Sikh audience by reciting verses from Gurbani at the Talkatora Stadium here last night. Bhai Lal, the 17th descendant of Guru Nanak’s companion Bhai Mardana, was invited by the Delhi government to perform at Gurbani Gaveh Bhai, a three-day event marking the 400 years of the Guru Granth Sahib here. A meeting of the Shiromani Gurdwara Sewadar Committee was held in South Delhi. The vice-president of the panel, Darshan Singh Kalka Ji, on behalf of the Sikh Sangat of Delhi appealed to the president of the SGPC and the Shiromani Akali Dal to appoint Professor Darshan Singh Khalsa, a veteran Sikh scholar and thinker as the Jathedar (Head) of Sri Akal Takht Sahib. Mrs Dikshit told reporters after the meeting. She claimed that there was enough power to meet the demand in the summer months, adding that problems were being created by local faults. Meanwhile, the Cabinet today also reviewed the water supply situation in the national Capital. The Chief Minister said the dip in the water level in the Yamuna was not yet alarming. “The dip in water level is not going to affect water supply yet. 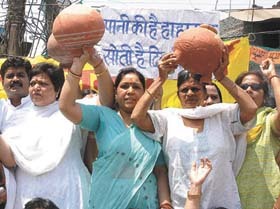 But we are alert and are trying to procure water from Uttaranchal and UP,” she said. Mrs Dikshit informed that the CEO of Delhi Jal Board, Rakesh Mohan, visited Uttaranchal to secure supply of raw water for the Sonia Vihar plant and her government was pursuing the matter of getting water for the Capital with the Centre. “This week the Union Water Resources Minister will hold a meeting, to be attended by me and the UP Chief Minister, in which we will sort out the issue of getting water for the Sonia Vihar plant,” Mrs Dikshit said. The Delhi Pradesh Congress Committee (DPCC) finds itself in a piquant situation over the recent unsavoury episode involving the Delhi Chief Minister, Mrs Sheila Dikshit and some local leaders when she walked out in a huff from a coordination meeting last week. Although the local leaders, including some MLAs and DPCC office-bearers, are united against her for having snubbed them when all they were trying to do was to vent steam, yet they are now a little reluctant to press for disciplinary action against her. The reason is not that they have had a sudden change of heart. It is more pragmatic than that as they have been unable to decide on a single name to succeed her in case she has to go. There have been a series of hush-hush meetings among the local leaders over the past few days assuming that the days of the Chief Minister were numbered because of the simple fact that the party supremo, Mrs Sonia Gandhi, has refused to meet her so far despite her request for an audience. This, they conclude, is indication enough that the Chief Minister, who successfully countered the incumbency factor to retain power with convincing majority for the second term on developmental plank, had finally crossed the “Lakshman rekha” by defying the party. However, they are quite happy to leave the matter in the “capable hands of the party high command”. But what is worrying the local party leaders is that who will take on the leadership after Mrs Dikshit. Insiders claim that the office-bearers have informally discussed the matter in detail and have considered and rejected name after name of the hopefuls. These include, Mr Ram Babu Sharma, the DPCC president himself, Mr Jagdish Tytler, MP and Union Minister, Mr Subhash Chopra, party veteran and former president of the DPCC, Mr Ajay Maken, MP and a former close associate of Mrs Dikshit but now a detractor, Mr Kapil Sibal, MP and Union Minister, Dr Ashok Walia, Delhi Finance Minister and number two in the state Cabinet and Mr Sajjan Kumar, MP and another party old-timer. What has made the job of deciding on a successor just in case is the fact that over the last six years, Mrs Dikshit has managed to retain her clean image notwithstanding the repeated Opposition charges that there was definitely something amiss in the power privatisation and the Sonia Vihar water treatment plant construction. Despite the repeated accusations, the charges have not stuck for the simple reason that Mrs Dikshit is perceived as a straightforward, honest politician, an efficient administrator, a lady doing a difficult job. In short, for an average Delhiite, she is the “aunt next door”. The DPCC, in all its wisdom, is aware of these attributes. Any successor would have a tough job in living up to these qualifications which obviously makes decision-taking a lot more difficult. There is a strong feeling among the cadre that the matter should be left to cool. Any precipitate action at this stage would have a detrimental effect on the party. They should not allow such squabbles to upset the cart. After all it was with a great deal of effort that the party wrested power from the Bharatiya Janata Party (BJP) in what was once their stronghold. Any major change in the party profile at this time would only give advantage to the Opposition. Mrs Dikshit knows the DPCC’s predicament only too well and it is precisely for this reason that she has publicly maintained that she would not like to be an “unwanted guest”. Mrs Dikshit had filed the defamation case against Mr Khurana, a former Chief Minister of Delhi, for levelling charges of corruption against her. A single judge of the High Court had issued notice to Mr Khurana on her suit earlier. But Khurana today moved an application for stay of the proceedings against him before a Division Bench of the High Court. Taking cognizance of his application, a Bench of Mr Justice Virender Jain and Mr Justice J. P. Singh issued notice to Mrs Dikshit seeking her reply by May 25. The Bench, meanwhile, stayed the trial proceedings before the single judge, Mr Justice T. S. Thakur, who on February 16 had issued notice to Mr Khurana on Mrs Dikshit’s suit, holding that prima facie the allegations of corruption levelled against her were “per se defamatory”. Mr Khurana was directed to produce evidence in support of his charges against the Chief Minister. Mrs Dikshit had filed the suit to save her honour and reputation, terming the allegations of corruption as “baseless”. She said the suit was not merely filed to claim monetary damages. Mrs Dikshit had alleged that Khurana’s charges that she had provided benefits of Rs 105 crore to some private companies were “motivated” and aimed at damaging her reputation. She said that the charges of Mr Khurana that she had obtained pecuniary gains of Rs 15 crore for herself to fight elections from the so-called private companies, was nothing but baseless allegations to defame her. The police have arrested a man for torturing his wife who committed suicide in Naya Bans area here. Domestic discord was the cause of the suicide, the police said. Incidentally, this is the fifth case of suicide during the past one week in Noida. The father of the deceased has filed a dowry death case against his son-in-law who has since been arrested. Bhuwan Singh of Chamoli had been married to 20-year-old daughter of Devinder Kumar a year ago. He was working in a factory in Sector-4 Noida and lived in Naya Bans. When Bhuwan Singh came home after duty in the evening, he found the room bolted from inside. Suspecting something untoward, he informed the police. When the Sector-20 police opened the door, his wife Maya was found hanging from the fan. The body was sent for autopsy. Maya’s father rushed to Noida on hearing the incident. In a written report, he has accused Bhuwan of having abetted his wife to suicide, since she had not been able to meet the dowry demands. The police have registered a case and arrested Bhuwan Singh. A dairy owner and his two friends clashed over a minor issue while having drinks in Loni. Later, the friends reportedly hit him with bricks and strangulated him. The wife of the dairyman has filed a murder report with the police, naming the two accused. One Datta Ram, the dairyman, used to live at Rahul Garden Colony in Loni with his wife Babita and two kids. On Saturday, the dairy owner’s two friends–Sudhir and Chhanga–had reportedly come to visit him on Saturday and all three started taking liquor. The dairyman’s wife was not at home at that time. After a while when she returned, she opposed to their consuming liquor in the house. 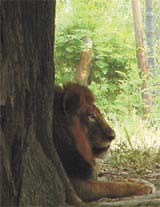 Datta Ram then took his friends to the vacant house of his brother-in-law nearby. All of them again started drinking. In between, he had gone home to tell his wife to prepare dinner for the three persons. But he did not return home the whole night. In the morning when Babita sent a neighbouring boy to look for Datta Ram in her brother’s house, the murder came to light. Datta Ram’s face had been hit with bricks while he had been strangled with his own pyjamas. Subsequently, Datta Ram’s wife and other relatives informed the police. Babita told the police that Datta Ram’s friends had killed him. The police have registered a case of murder against Sudhir and Chhanga on the basis of the written report of Babita. Mr Yadav said that there is no need to attach any importance to Union Railway Minister Lalu Prasad Yadav’s statement that Third Front stood no chance. He said he was surprised to see that Lalu has done absolutely nothing for the development of Bihar or its people, who had given him the reigns of power for long 15 years. The UP Chief Minister patted himself for “record development of the UP state by Samajwadi Party government during last 18 months”. Mr Yadav said Samajwadi Party has rapidly enlarged its base among the people of Karnataka and Bihar. With the official launch of the two very unique awareness-spreading efforts by the Indian National Trust for Art and Cultural Heritage (INTACH) and the Delhi Government yesterday, tourists can now get a first-hand experience of the rich culture of the city through heritage walks every Saturday and Sunday. Earlier too, similar efforts had been undertaken by some NGOs, which, however, could not be sustained due to lack of coordination with a government agency. In this effort, the Delhi Chapter of INTACH is closely collaborating with the Delhi Tourism, the Delhi Development Authority and the Municipal Corporation. Exploring Shahjahanbad, a walk in Old Delhi and the Jamali Kamali heritage walk through the Mehrauli Archaeological Park, come rather cheap, at only Rs 50 per individual. For students, it is at an even more subsidised rate of only Rs 10 per person. These trips into the past are experiences that even old-timers in Delhi can enjoy. The heritage walks have been meticulously and thoughtfully designed to make people aware of Delhi’s living culture and architectural heritage with more than 1,200 listed buildings. “If we do not know about the past, how we will know the future,” says conveyor of the Delhi Chapter of INTACH O.P. Jain, explaining the entire concept behind the walks. “Tourists do not just want to visit museums, but also want a closer interaction with people and a preliminary understanding of the area which they can explore later,” he said. The process, going on for past six months, has received a good response. In the yesterday’s walk at Mehrauli, 20 persons participated. As a part of the programme, INTACH has also trained resource persons who will guide people to take a trip down memory lane. The Shajahanabad walk, guiding through lanes and neighbourhood of Old Delhi, includes places of historic and religious importance, intricately designed havelis, gateways and arches. The walk that begins from Shri Digambara Jain Lal Mandir, ends at Jama Masjid, touching Gauri Shankar Mandir, the State Bank of India building on which INTACH carried out many alterations, Central Baptist Church, Sunehri Masjid, Paranthewali Gali, Kinari Bazaar, Katra Khusal Rai, Dharampura and Gali Guliyan. The Mehrauli Archeological park walk is an experience from both historical and environmental points of view. Within the area are 70 heritage buildings listed by INTACH and a fascinating variety of plants and birds. It took the artist more than 40 trips from his studio in South Delhi and a fortnight of prolonged sessions with the canvas and paints to complete the assignment. Of the two paintings commissioned by the Indian Council of Cultural Relations (ICCR), it was a mixed-media work predominantly done in water colour that the ICCR chose to hand over to the Pakistan President during his just-concluded India visit. The 32x42 work, mounted on a brass plate, was presented by Prime Minister Manmohan Singh to Gen Musharraf at the Hyderabad House here on April 17. Ironically, the artist was unable to witness the presenting of the ‘gift’ as he did not have an invitation and a cream colour sherwani, he got specially stitched for the occasion, lies untouched in his wardrobe in his home at Eros Garden in Faridabad. Thirty-two-year-old Kumar has held about 15 exhibitions across the country and one abroad after finishing his diploma from Sarada Ukil School of Art here in 1993. Going by the nature of his maiden assignment with the ICCR, which had asked him to prepare a set of paintings on folk theatre forms for its 2004 calendar, Kumar, who generally paints heritage figures, presumed that the council expected him to work on something that would project the country’s culture. After giving considerable thought to the project, the artist finally concluded that nothing could better reflect the country’s culture than the Neherwali Haveli nestled in the narrow lanes of the walled city. Kumar then started working assiduously on the painting. They claim that the restructured programmes are being prematurely implemented. “The infrastructural aspects aside, even the teaching community is not ready for the revised curriculum,” said Dr Shashwati Majumdar, former DUTA president and member Democratic Teachers’ Front. Criticising the haste with which the courses are being implemented, the DUTA president, Mr Aditya Narain Misra of the AAD, said, “it is being done in the most autocratic way. The courses have not been discussed with the teachers and no attention has been paid to the students’ ability to cope with the changes and additions,” Members belonging to DTF as well as the AAD have sought the deferment of the courses by a year in view of the lack of academic preparation and adequate infrastructural facilities. “All kinds of specilalised laboratories have been recommended in the revised courses, where is the infrastructure for that? Besides, there should have been refresher courses and workshops for teachers before they are entrusted with the job of teaching the revised curriculum,” said Majumdar. The teachers are also irked as the issue of ad hoc teachers has not been resolved in the AC. “It is very unfortunate that the matter has been sent for further discussions. The DUTA president should ensure that the matter is taken up and resolved,” said Dr Majumdar. However, Mr Misra claimed that despite having raised the issue time and again the Vice-Chancellor has shown “little inclination to solve the matter”. He said “the VC has not even accepted the recommendations of the Agnihotri Committee report over the issue of ad hoc teachers. The AAD had stressed that apart from the recommendations they must also extend maternity benefits to the lady ad hoc teachers, but the VC has failed to listen to us”. Kumar, who had cleared the test the school conducts, was even issued a receipt for the amount he was asked to pay. “I came here thinking that it is a government-aided school, but at the time of admission we were told that we have to pay Rs 6,000 as one-time charges,” he said. The school being run by the Delhi Maharashtriya Education and Cultural Society receives 95 per cent of its grants from the Delhi Government. And as per the rules, it cannot charge more than Rs 10 per month as the fee. The school’s principal claims that the staff’s involvement in the admission procedure is limited to just conducting the entrance test. “We have formed a team of six teachers for different classes to ascertain whether the students seeking admission merit entry into the school. The fees and other dues are the management’s concern,” she said. The school manager, Mr C P Sakle, on his part claimed that the amount being charged is “voluntary donation and none of the parents have been forced to pay”. Incidentally while the school has been inspected five times by the DoE’s office, Mr Sakle claims all inquires have come to a naught as parents are unwilling to give a written complaint. “Let them give us a written complaint and we will take action. Parents complain we are forcing them to pay, let them do so in writing and then see what we do,” said Mr Sakle. But donations are not the only bane, sources said, the school is notorious for seeking money to help students clear their exams. “For Rs 1,000, teachers pass students who have failed to clear the exams even after being given the grace marks permitted by the Directorate,” said a source. The police said that Jaibir is the stepson of Virmati (36), a widow, who owns a huge property worth crores in Bichau Kalan village in Najafgarh. After her husband’s demise, Virmati had been staying with her parents in Sonepat but had staked her claim to her husband’s property. The suspects, who wanted to grab the property from Virmati, had on earlier occasions had verbal duels with her. But on Sunday, they decided to eliminate Virmati as she had become a ‘nuisance’. The police said that several teams had been despatched to various places in Haryana and Uttar Pradesh as several of the relatives and family members of the suspects reside there. In a special drive launched against the drug traffickers in the Capital, the Narcotics Branch of the Delhi Police today claimed to have arrested seven persons in six different cases. The sleuths also claimed to have seized 2.33 kilograms of heroin and 10 kilograms of charas worth Rs 2.3 crore in the international market. A 26-year-old woman allegedly committed suicide this afternoon by hanging from a ceiling fan at her house in Pachim Puri in West district. The deceased has been identified as Ruchika, wife of Nirmal Singh. The couple had been married for eight years and have a three-year-old son. The bust installed by the civic body at the intersection of Barakhamba Road and Maharaja Ranjit Singh Setu was donated by Maharaja Ranjit Singh Trust. The function was presided over by the Deputy Speaker of the Lok Sabha, Charanjit Singh Atwal. Speaking on the occasion, the Chairperson of the NDMC, Ms Sindhudhree Khullar, said that it is a memorable occasion for the NDMC to have installed the bust of Sher-E-Punjab Maharaja Ranjit Singh at this important intersection. Ashiq Ali Bhai Lal from Pakistan entranced the predominantly Sikh audience by reciting verses from Gurbani at the Talkatora Stadium here last night. Bhai Lal, the 17th descendant of Guru Nanak’s companion Bhai Mardana, was invited by the Delhi government to perform at Gurbani Gaveh Bhai, a three-day event marking the 400 years of the Guru Granth Sahib here. Dressed in saffron robes and turbans with ends of their stoles hanging down their necks, Bhai Lal and his companions revived half-a-century-old memories of Muslim rabbis singing at the Golden Temple as they rendered Sikh hymns in pure classical compositions. From Bhai Nand Lal, a poet in the court of Guru Gobind Singh to Bhai Gurdas, the first authority on Sikh traditions after the Gurus, to a number of mystics whose verses are included in the Guru Granth Sahib, Bhai Lal quoted them all. 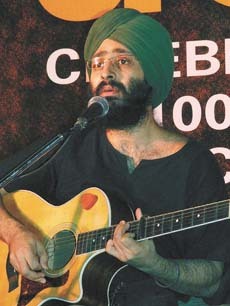 The Muslim singer supplemented each line of the main Shabad or hymn he was singing with numerous quotes from these sources, some in Persian, some in Sanskrit. In a press statement, he asked the Sikh leadership to encourage the Sikh youth to come forward and work for the community. The president of the panel, Joginder Singh Tiger, appealed to the Sikh youths to follow the Sikh code of conduct (Rehat Maryada). He said that the ‘Dharam Prachar Committee’ of the SGPC should also perform its duties sincerely. Experts in beauty care feel that the major part of the problems related to hair could be solved if the outer layer, cuticle, is taken care of. Speaking at a seminar-workshop for beauticians, Ms Ritika Vasudev, a beauty therapist said that a strand of hair has three layers: medula, cortex and cuticle, with the last forming the outermost layer.The cuticle gets damaged due to chemical treatment, exposure to environmental pollution, etc. Breakage of hair, hairfall and bushy hair are all signs of damage to the outer layer. In an informative scientific session organised by the Association of Physicians of India (Noida Branch) last evening, Padma Bhushan Dr Purshotam Lal, Director, Metro Group of Hospitals, was felicitated on being honoured with the prestigious Dr B. C. Roy Award. On the occasion, Dr Deepak Talwar, Medical Director, Metro Group of Hospital, said that Dr Lal has brought honour for Noida as he was the first person in the field of interventional cardiology to be conferred with both the Padma Bhushan and the Dr. B. C. Roy award in so many years.